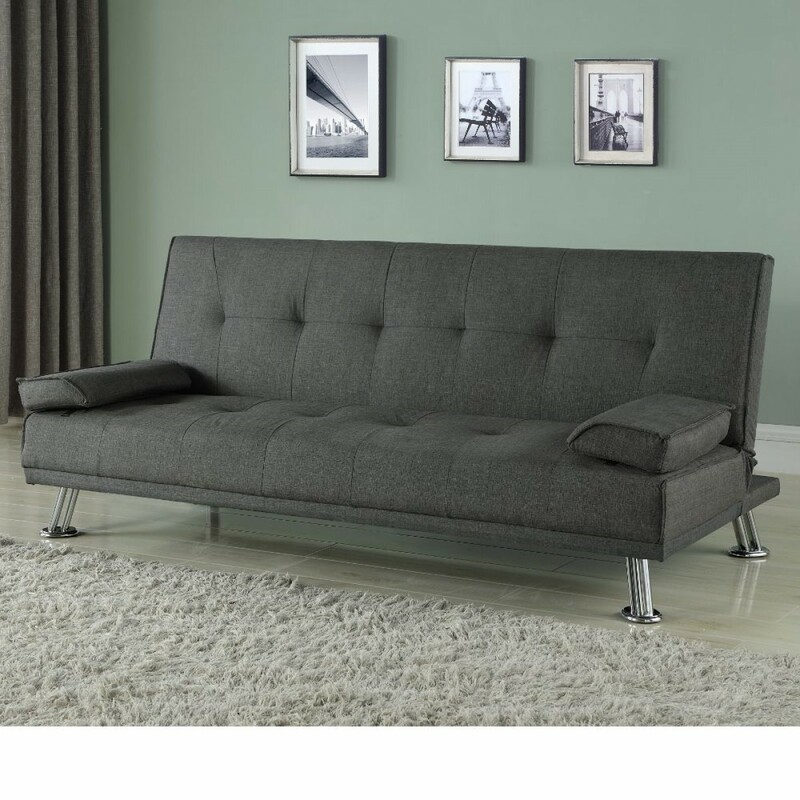 The Logan Grey Fabric Sofa Bed is perhaps one of the most reliable and versatile options available on the market today. When the backrest is upright, the Logan acts as a sturdy and comfortable sofa with ample back support. There is easily room for three people to sit down – maybe even four if you all squeeze in! When the backrest is folded down and levelled out, the sofa becomes a soft and comfortable sleeping space big enough for two. A strong and sturdy eucalyptus frame supports the sofa bed’s PU foam filling, upholstered entirely in grey polyester fabric. This creates an elegant setting for relaxation, no matter if you’re snoozing or simply taking a seated rest! The dark yet neutral grey colour fits really well with almost any living environment and choice of interior design too. So you get versatility, style and a good night’s sleep – what more could you ask for? Detachable armrests double up as comfortable head cushions that can be moved to either end of the sofa. This is just a little touch, but it makes all the difference. This versatility and ingenious design makes the Logon the perfect guest bed or the ideal solution for students in small living quarters. Please be aware that the maximum weight load for this sofa bed is around 250kgs. Anything above this may damage the structure of the sofa bed’s framework. Also, if you are thinking or purchasing this product, please be advised that the legs will be concealed within the base on delivery. Simply remove them and follow the instructions on how they should be fitted.